We really enjoyed the first Agent of the Empire series – Iron Eclipse. What was not to like? Now Jahan Cross is back and this time he starts off by killing the Count of Serreno (yeaah the same place Count Dooku is from). Then he goes to help those poor SOBS find a new count…great Imperial duplicity. We meet Jahan’s dad too – who apparently is a legitimate good guy. 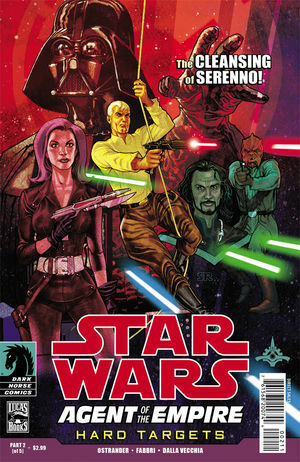 So far we’re two issues into this story and it has been one of the most enjoyable Star Wars titles we’ve read all year.